This Marquise 3 light oval pendant ceiling light in antique copper finish with glass drops is elegant, stylish and bright. 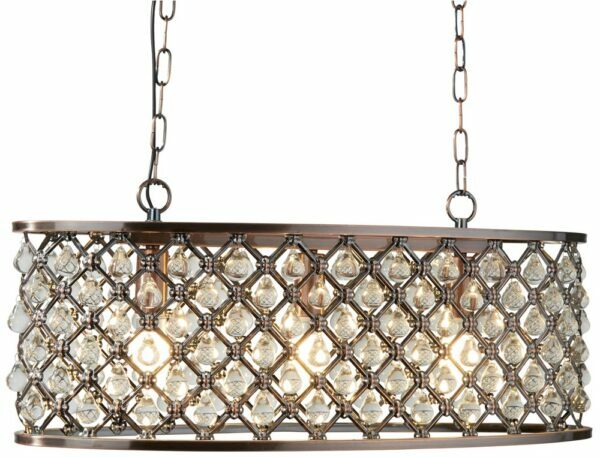 Featuring rectangular ceiling mount, dual chain suspension and oval frame, with open diamond sides and three lights hanging within. Each diamond section is inset with a clear glass teardrop that sparkles when lit by the lights behind. A good sized oval pendant in a rustic antique copper finish, with intricate design and glass drops that give added sparkle. 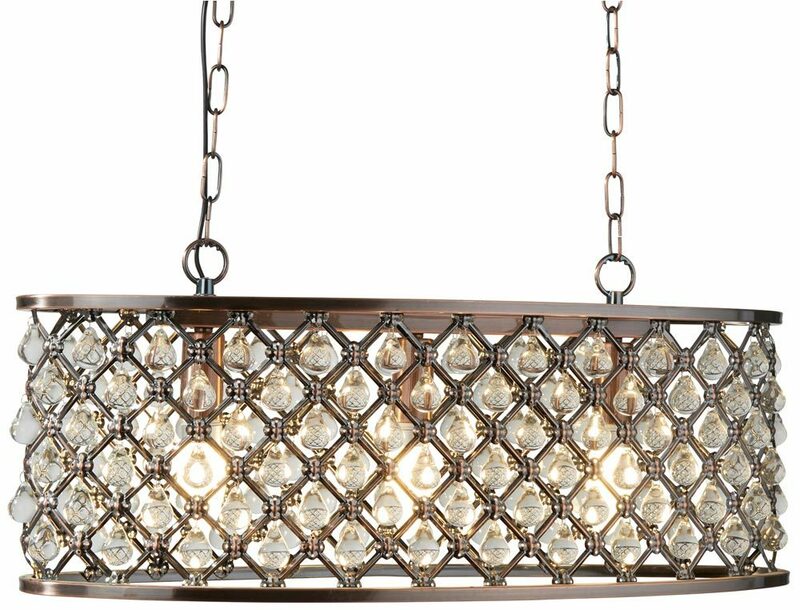 The three lights give plenty of illumination and the diamond pattern creates lovely shadows that is sure to turn heads. Perfect for any hallway, landing, living room, dining room, kitchen or bedroom for instant impact. Height adjustable at the time of installation by shortening the suspension chain to achieve the perfect drop. There is a matching three-light drum pendant available in the Marquise lighting range that can be viewed below. This stylish light is supplied by Searchlight who manufacture some of the best traditional and modern classic designs such as the Marquise 3 light oval pendant ceiling light in antique copper finish with glass drops you see here.